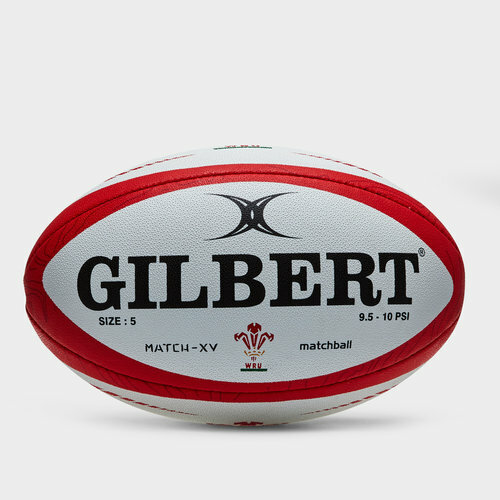 Delivering a world class professional performance in competitive action, play like Scotland's finest with the Wales Match XV Rugby Ball, made by Gilbert. 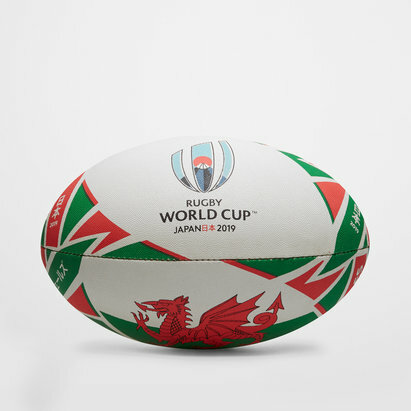 This official licensed match ball of the Wales national rugby union team comes in White and Red and features the iconic Wales RFU badge printed on it. World Rugby approved and hand stitched together, the Gilbert Match XV rugby ball has a reaction laminate construction to ensure of optimal energy transfer between boot and ball when kicking. The ball comes pre-kicked by machine to remove residual stress - ready for optimal match action. Other technical features of this top quality Welsh match ball includes a G-XV rubber compound surface with Multi-Matrix 3D grip for all weather superior grip that maximise hand contact and improves passing control and accuracy. A copolymer "Air-Loc" bladder improves air retention for greater endurance between re inflation whilst an Ellipse Truflight valve redistributes weight along the seams to improve rotational stability and accuracy. 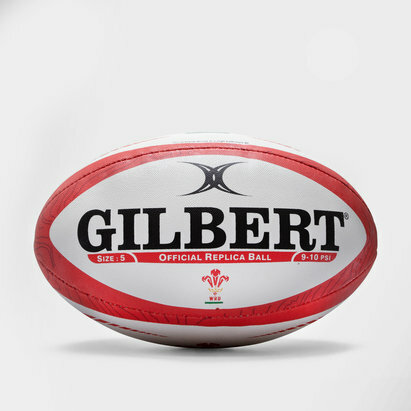 Support Welsh rugby with a ball that delivers an elite class performance - choose for your matches the Gilbert Wales Match XV Rugby Ball.